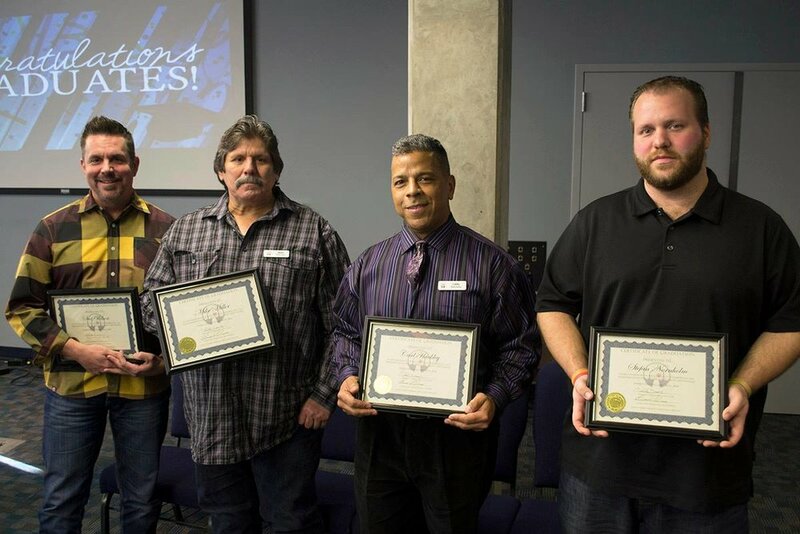 On January 25, Union Gospel Mission was pleased to honor four men who have demonstrated perseverance, growth and courage as they completed the LifeChange program. All four graduates successfully completed all levels and requirements of LifeChange, as well as growing in their faith and allowing Jesus to transform their lives. Each overcame struggles with addiction and hopelessness. Some struggled with homelessness as well. It is amazing to see God's work in their lives! Some of the graduates, such as Carl, (pictured right) are staying on for the "Shepherds" phase of LifeChange. The Shepherds give back to LifeChange by providing leadership, care and help for the men who are in the earlier phases of LifeChange. Other graduates are moving on to build productive lives outside the mission. Congratulations to Scot, Mike, Carl and Stefan!